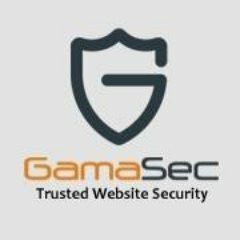 GamaSec's Web application scanner, which protects applications and servers from hackers, is an automated security service that searches for software vulnerabilities within Web applications. A Web application scanner crawls the entire website, analyzes in-depth each & every file, and displays the entire website structure. The scanner performs an automatic audit for common security vulnerabilities while launching a series of simulated Web attacks. Appsec Scale delivers an automated web application security testing solution that compliments Outpost24 SWAT and PEN testing. This production safe solution can easily onboard applications at scale, and continuously monitor their vulnerability profile. In fact, the Appsec engine is the same as the one used in SWAT which means it learns as SWAT learns. Combined with vulnerability management, Appsec Scale gives you a more complete view of your application risk, all visible in one interface. * We monitor all Gamashield reviews to prevent fraudulent reviews and keep review quality high. We do not post reviews by company employees or direct competitors. Validated reviews require the user to submit a screenshot of the product containing their user ID, in order to verify a user is an actual user of the product. Hi there! Are you looking to implement a solution like Gamashield?